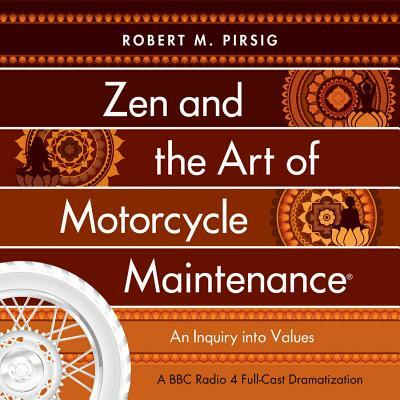 One of the most important and influential books of the past half-century, "Zen and the Art of Motorcycle Maintenance" tells the iconic story of a father and son's motorcycle trip across America in the 1960s. Yet it also describes a personal and philosophical journey, asking questions along the way about how to live a meaningful life. The narrator takes a cross-country motorcycle trip from Minnesota to California with his young son, during which the maintenance of the motorcycle becomes an illustration of how to unify the cold, rational realm of technology with the warm, imaginative realm of artistry. The narrator wrestles with both the ghost of his past and some of the most important philosophical questions of the twentieth century. The narrator's need to reconcile his past and present selves drives him and his son forward, to a point where all is lost or won. Now dramatized for the first time by Peter Flannery ("Our Friends in the North," "George Gently," "The Devil's Whore") and starring James Purefoy ("Rome," "Injustice," "Ironclad"), this full-cast drama adds a new and original dimension to a true modern classic.